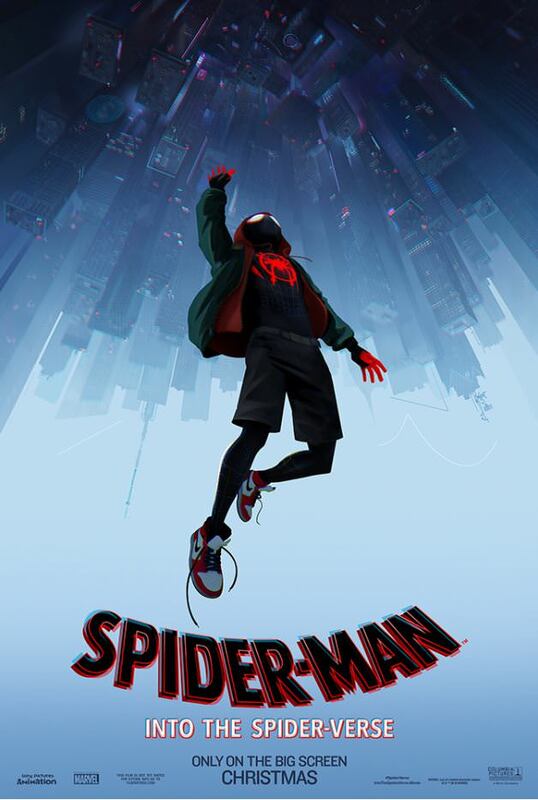 Into the Spider-Verse is a 3d Computer animated film that focuses on the Ultimate Spider-Man aka Miles Morales. Miles Morales is juggling his life between being a high school student and being Spider-Man. However, when Wilson "Kingpin" Fisk uses a super collider, another Spider-Man from another dimension named Peter Parker accidentally winds up in Miles' dimension. As Peter trains Miles to become a better Spider-Man, they are soon joined by four other Spider-Men from across the "Spider-Verse", including Gwen Stacy, Spider-Man Noir, Peni Parker, and Spider-Ham. As all these clashing dimensions start to tear Brooklyn apart, Miles must help the others stop Kingpin and return everyone to their own dimensions. I don't want to overhype this but from the trailer I had a few thoughts. 1) Might be the best animation from an art perspective I have ever seen from Marvel. Very beautiful with an interesting style. I would watch just this for its aesthetic. 4) Myles - I know Myles appeals in other cartoons but not like this. 5) Spider-Verse - Great story lots of fun, this doesn't look based off it too much but it doesn't hurt it. One other thing to note on this project is that Sony produced this. This is the same Sony that does not seem to be able to get Spider-Man right on the big screen but I really think they nailed this project. Good job Sony. Plus more cast members are revealed from the animated film, opening December 14! After a teaser a few months back, the first full trailer for the upcoming Sony Pictures Animation film “Spider-Man: Into the Spider-Verse” is here! “Spider-Man: Into the Spider-Verse” introduces Brooklyn teen Miles Morales, and the limitless possibilities of the Spider-Verse, where more than one can wear the mask. You can check out the trailer at the top of the page, along with the new poster and images from the film in the gallery below!